Tim has been a qualified, practising financial adviser in New Zealand since 2008, setting up local financial planning business RIVAL Wealth at the start of the Global Financial Crisis. The business has seen consistent growth since this time, with Tim travelling the country visiting clients and speaking at seminars and events. RIVAL Wealth won the prestigious Diversity Award for the best business in the country for work-life balance in 2018. Tim grew up in the Wairarapa before moving to Wellington to complete a double degree at Victoria University (BCA and BTSM). Tim started his career at TOWER, and within 18 months had moved to the senior role of Business Development Manager, the youngest in a team of 18. Tim spent 2 years working in a booming Irish financial industry as Head of Business Development for Oppenheim Investment Managers, significantly increasing new investments. Tim was appointed to chair the Investment Member Advisory Committee in 2018. This committee represents part of the key industry sectors which form Financial Advice New Zealand. This achievement was back up with Tim being awarded the ‘Excellence in Advice Award’. This award acknowledges some of his outstanding achievements for clients and helping educate fellow New Zealanders on their journey towards financial health. He also serves as chairman of the Old Pupils Association at his children’s school. 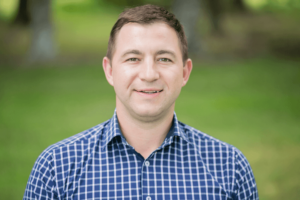 His areas of expertise focus on comprehensive financial planning, investment analysis and advice, farm and business succession, ACC advice, and KiwiSaver.